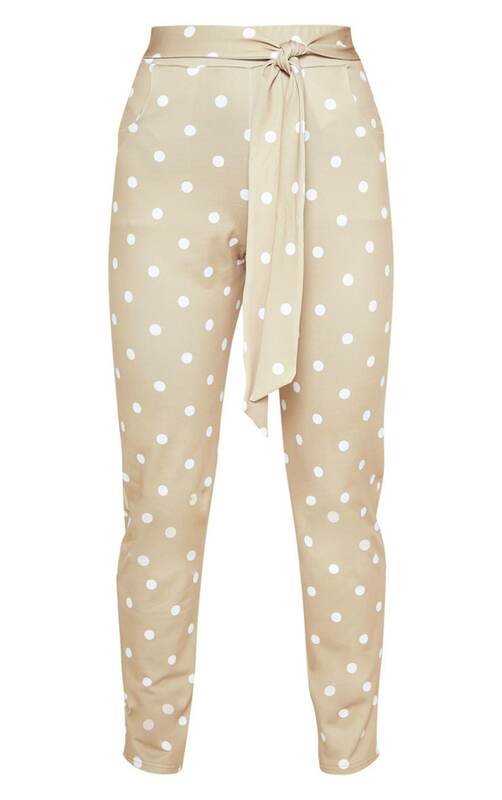 Polka dots are bang on trend right now and these trousers are a serious wardrobe staple. Featuring a taupe fabric with a polka dot print, tie waist detail and a cigarette trouser style. Team with a bardot crop top and flatforms for a look we're loving.